It would appear as though the SmartQ 7 [Portal page] which Chippy checked out for a while is getting a little refresh. 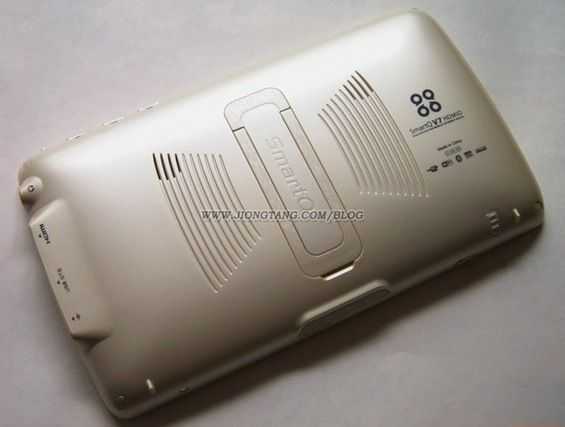 This site shows what seems to be called the ‘SmartQ V7 HDMID’ which is actually sort of clever as the V7 has an HDMI port and is a MID! Beyond the HDMI port, the V7 triple boots into your choice of OS â€“ Android, Ubuntu, or Win CE, and has some under-the-hood adjustments. The case of the V7 looks to be exactly the same as the SmartQ 7 but it looks like the V7 has some slight technical upgrades inside. Update: Peter in the comments linked us to some more detailed into on the SmartQ V7. The CPU is indeed different. 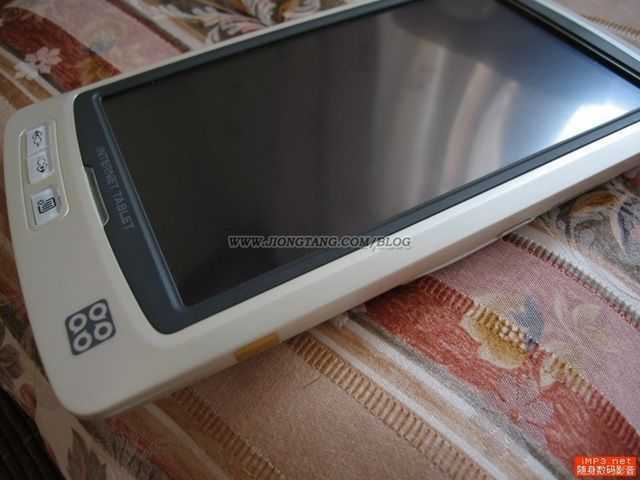 The V7 is using (according to info Peter has found) the Telechips TCC8900 Arm 11 CPU, which may be running as reported, at 600MHz. There is also some hardware acceleration which will hopefully allow the V7 to push 1080P content out the HDMI port. According to the source site, the V7 has a 600MHz Arm 11 CPU, but this is probably actually the same 667MHz CPU in the Smart Q7, (we’ll let those extra 67MHz slide for now). Same CPU maybe, but The V7 seems to be rocking out twice the RAM as the original (128MB vs. 256MB) and the RAM is three times as fast too. The original was DDR @ 133MHz and while the V7’s is DDR2 @ 330MHz. The V7 is also has double the internal storage which goes up to 2GB (and an SD slot capable of up to 32GB) from the SmartQ 7’s 1GB. No word yet on availability, or if the V7 will actually be able to handle pushing HD video through that HDMI port, but we can always hope, and if so, this makes the V7 a more attractive mobile HD theater than even the Zune HD â€“ for me anyway! 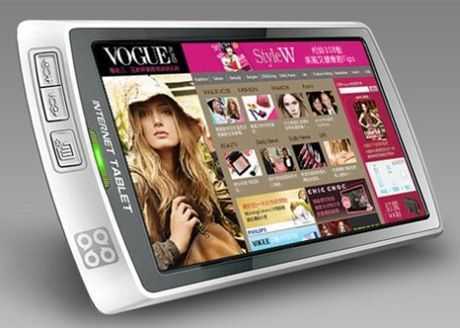 Jump to the site for a few more images of the SmartQ V7. Thanks to Adam for sending this in! SmartQ 7 Looks Perfect for the Coffee-Table. It looks like SmartQ are going to offer their SmartQ 5 device in a 7 inch version which not only looks very attractive but could really find a useful place on the sofa or coffee table of many a modern home. 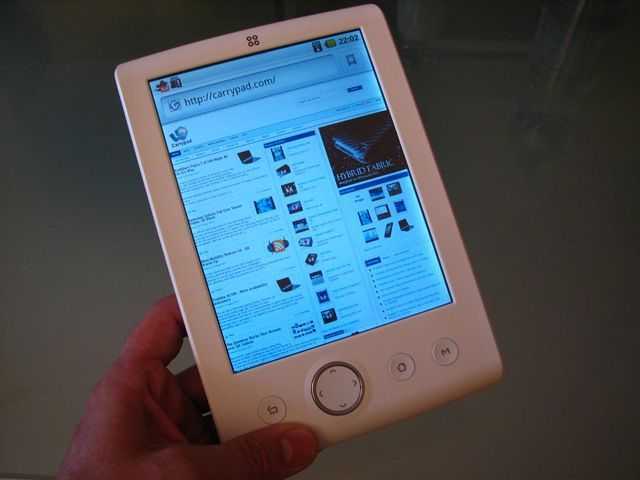 Kindle, Pepperpad, Crunchpad, Archos 7, Samsung Q1EX and Apple Tablet come immediately to mind but the Q7 is slightly different. 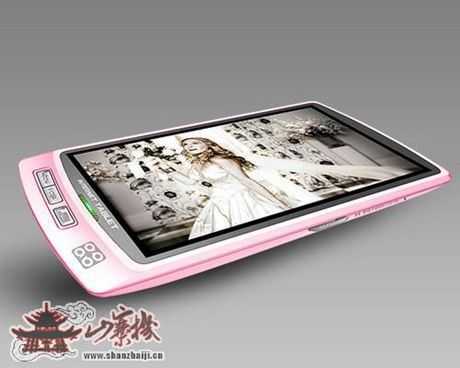 It uses an ARM11-based core (according to reports I’m reading on translated forums around the net) which will give it a long, long battery life. It has nice styling (note that these pics are renderings.) It will be light (I estimate 1lb.) It’s targeted at Web-only usage and if the $150 Q5 is anything to go by, could come in at an extremely attractive price. At first you might think the Q7 uses an old, underpowered platform and then you might compare it to the $200 netbooks that are around but if you think about where you might use this, on the sofa, breakfast table and in bed or even as a picture frame or constantly updating newspaper, it’s not the same ‘urgent’ usage model as you have with a MID or smartphone and it’s not for table top productive usage like a netbook is. You have more time and patience in these home-based scenarios and you don’t notice slower page loading times so much. This is something I learned when I hooked the Archos 605 up to my TV. 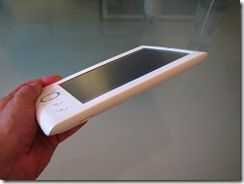 It’s not a mobile device, it’s a home device. Based on hardware and industrial design alone, I think this is an extremely interesting sofa surfer or information pad that could be very competitively priced. A conversion to Android or Maemo could make this even more interesting. I’ll be in Taiwan for Computex in June and if I see one of these for sale, I’ll definitely buy one. I’ve made the assumption that the Q7 is based on the Q5 hardware and added it to the database. Take a look at the specs, think $250 (my estimation) and let me know; Is it something you’re interested in? Update: All specs now in the product database. Over the last few weeks we’ve seen bits on information on the Smart Q5 MID, but today it looks like we’ve got the official details. Nothing too exciting here, but for an inexpensive little web device it has all the essentials. Bluetooth means that you should be able to tether to your phone for an internet connection, and of course hook up any other Bluetooth peripherals (to make up for the lack of a keyboard). I still feel like this device wouldn’t really be a productivity device, but instead a nice pocketable portal for consuming web content. I imagine it being good for single-service use around the house, such as a twitter box, instant messenger, or dedicated Google Reader. The unit is purportedly going to sell for around $132. At this point, there isn’t any confirmation about whether or not it will be released in the US. We brought you some preliminary details about the SmartQ 5 MID a little while back, but didn’t have much to go on. Today we’ve found that the SmartQ 5 is indeed going to have a $132 price tag, though it may never end up coming officially to the US. The processor is also ARM as Chippy theorized based on the low cost. Apparently it will be ARMv7 specifically, which I believe throws it into the Cortex family. The device will be running Ubuntu. The lack of keyboard and non-customized-for-touchscreen OS will probably not make this a good productivity computing device. I think the low cost would make this little unit a perfect single task device. 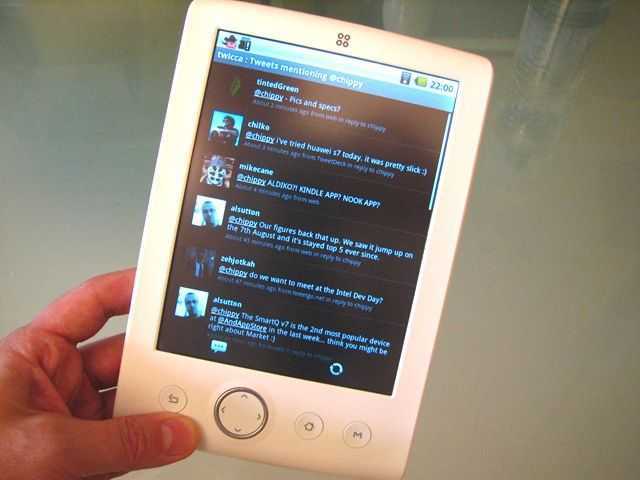 Imagine running a nice full screen twitter client or Facebook interface on it to have around the house with you. Looks like we have an interesting mystery device here. The SmartQ 5 MID has been captured in the wild. The background image of the device immediately reminded me of the background of the Nokia N810 [Portal page]. At first I thought it might be running Maemo, but seeing as this device is not from Nokia, I’d say that is highly unlikely. It appears to be running a simple Linux distro. 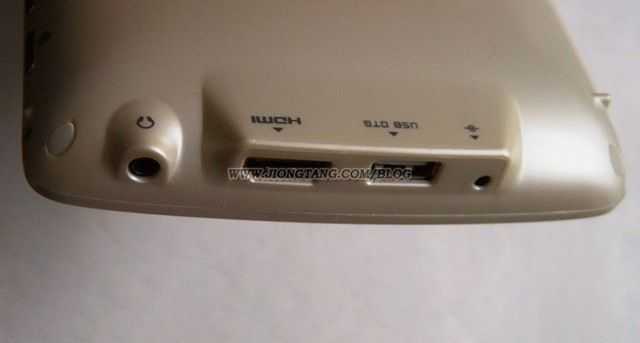 The hardware itself seems very simple, with a 4.3 inch 800×480 screen, WiFi, Bluetooth, and just four hardware buttons on the top of the device. The source puts the price of the unit at $132 which prompts Chippy to assume that it is Arm 11 based. So far there aren’t many more details other than some images of it running FBreader, a Linux based e-Book reader. Considering the fact that it is Linux based, I’m sure it will be able to plenty of common Linux tasks, but it will all come down to a matter of how quickly, and how well the interface is adapted for touch. After seeing that the stylus is featured in many of the photos, I don’t have my hopes up for a finger usable interface, and the lack of keyboard probably means this device will turn out to be more of a toy than a productive pocket computer. Does that sound a bit pessimistic? There are very few specs known about this one. We only have the image and a translation that appears to highlight some negative things about Intel; a big hint perhaps, that this is an ARM-based device. Looking very clean and iPod-like, if it hits a lower price point, comes with a 3g option and uses an advanced cpu it might be worth looking at. If not, you might as well go out and buy a Nokia N800. 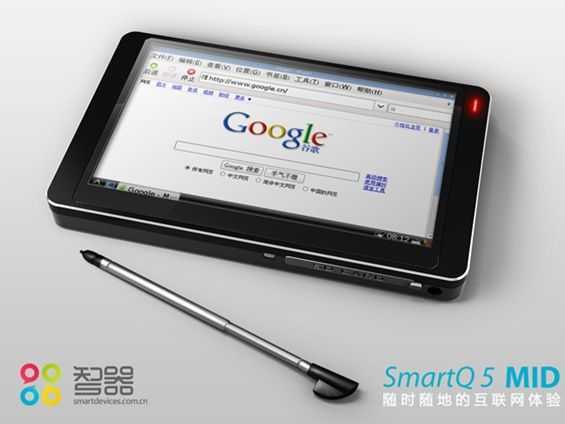 Heres the pic of the SmartQ from Smartdevices, China. We’ll keep an eye out for them at CeBIT.